spring home improvement | Odd Job Handyman Services, Inc. The celebrated “season of the handyman” is here once again. Contractors everywhere are dusting off their toolkits while homeowners try to find those ‘to-do’ lists they’ve been working on. But where does that leave those who don’t have much in their budget for spring home improvement? The bad news? According to HGTV, home improvement significantly raises the value of your property. The good news? You don’t need to be a billionaire to update your home. If you’re interested in inside tips from professional handymen on how to save on spring home improvement, please read on. The work you do to the kitchen or the fixtures in the bathroom may be great, but by that time it may be too late. If you want to maximize your properties’ value, you need to focus on improving the curb appeal. So why not give people the right impression by the time they’ve reached your front door? Depending on the materials, the paint, and the type of door, installing a new door will in many cases cost well under $1,000. Refreshing an older door with a new coat of paintIf your new door is approved by Energy Star, it will save you on energy bills in the long term and on your taxes in the short term. 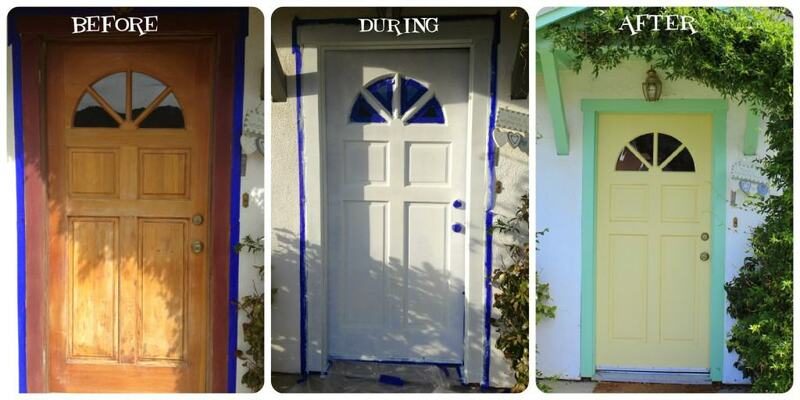 Initiate your spring home improvement bonanza by installing a gorgeous new door or giving your old one a new look. If you call the right people, you’ll enjoy an excellent return on investment. Spring evenings aren’t spring evenings if you don’t have a backyard deck to enjoy them on. Whether you’re having dinner outdoors or enjoying a few glasses with friends, your deck is the stage where your most precious memories will play out. Staining it for this purpose is one of the most rewarding and affordable spring home improvement projects there are. The average timeline? Between three and five hours. The average cost? $2 per square foot! Not only does this spring home improvement project offer immediate visual rewards, but it also promises an excellent return on investment. According to Realtors who were polled for the report, a 16-foot by 20-foot deck with an average construction cost of $10,048 could be expected to recoup $8,085 of its cost if the house were to be sold in 2015, a return on investment—or ROI—of 80.5%. 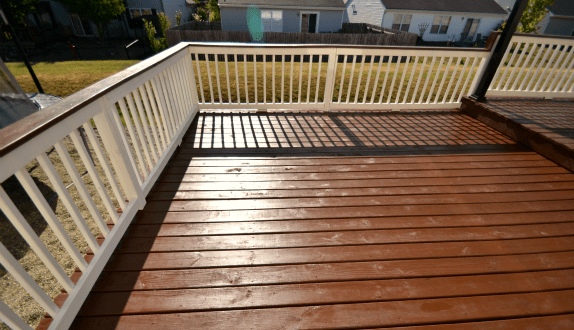 A beautiful deck will add great value to your home and skyrocket its curb appeal. Maintaining it, of course, is the key to protecting its investment value. Staining is the most affordable and effective ways to do this. One of the most classic spring home improvement projects is, of course, spring cleaning. If you’re willing to invest a lot of time and aren’t afraid to get your hands a little dirty, this can very easily be the most affordable project featured here. The most important phase of a large-scale cleanup effort will often be decluttering. To maximize efficiency, go room-to-room and focus your energy on the closets, cabinets and common areas before doing a second and more thorough review. Not only will this process cost you nothing but time, it may generate a small profit. Books, films, toys and clothing are all great material for a garage sale. The second phase of the cleanup process is the removal of stains and other debris. Rather than opting to use expensive and potentially harmful solutions, make your own cleaners. 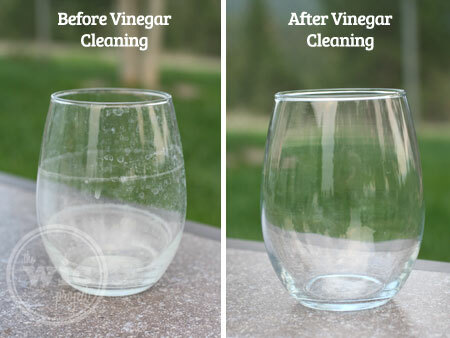 For cleaning your windows and mirrors, mix white vinegar into water and apply the solution with an old dust rag. For removing dust from woodwork, mix lemon juice into water and do the same – or just use dryer sheets. In 2014, CTV published a list of highly effective homemade cleaning solutions. The pricing ranges from $0.50 and $2.00. 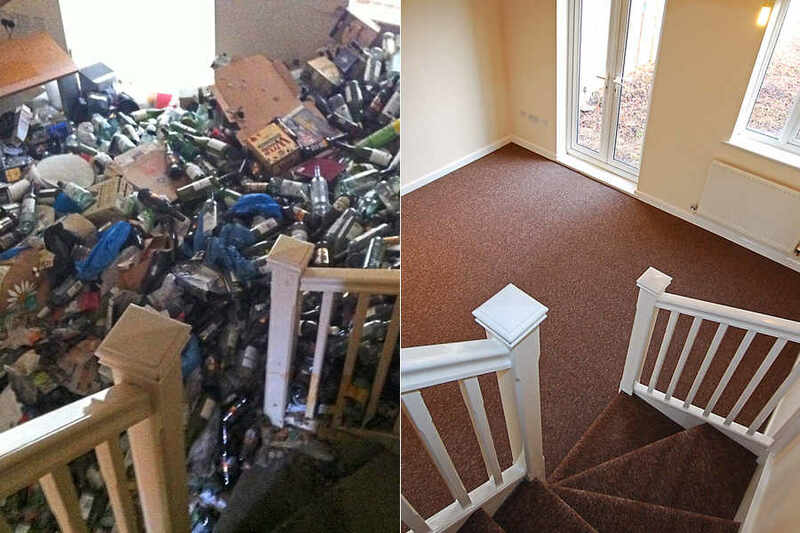 If you value time over money, there are companies that can completely declutter even the worst hoarder’s home in a single day. Odd Job, for example, will remove clutter from your home for $25 per bag. Spring is a season for friends, for long strolls through the park, and for backyard dinners. It is the season of good memories, and spring home improvement is a vital part of that process. Call (416) 520-1161 today or book our team online and you’ll be well on your way there.